4 Reasons Even Small Businesses Need To Accept Credit Cards. 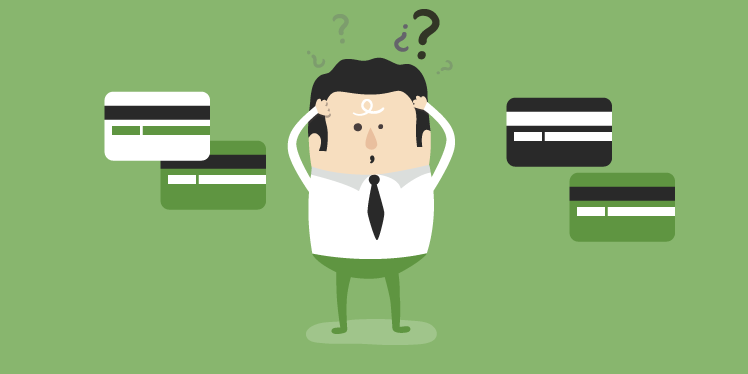 What To Consider When You’re Assessing Credit Card Merchant Services. Where Are The Other Charges And Where Do They Go? How To Reduce Your Fees. Common Credit Card Processing Problems. Introduction — What Are Credit Card Merchant Services, And How Do They Work? There used to be a time when you could walk into your neighborhood grocery store and you’d tell the store owner behind the counter what you needed. You’d read out your shopping list, and the shop keeper would dig around the shelves and pile your purchases up in front of you on a table, counter or sideboard. When the shop owner had all of your items ready for you -- you were done. You didn’t need to reach into your pocket. The owner would take out his old ledger book and write down what you bought. At the end of the month, you’d stop by and settle up your account with some sort of payment. It was a very convenient way of doing business but it relied on the merchant knowing you well enough to offer a month’s credit for free. He could take the risk because he knew you, and knew that he would continue to see you. If you stopped off at the store in the next town though, you wouldn’t have had the same relationship. You would have had to pay cash, and if you didn’t have enough cash with you, you would have been out of luck. That’s bad news for you, but it’s also bad news for the merchant. They would have lost a sale. Credit cards were created to solve that problem. Their original intention was to enable merchants to give credit to customers that they didn’t know. They’d be able to sell goods to buyers who didn’t have cash, even if they couldn’t trust them stop by at the end of the month and settle up. The first credit system started in 1946. The Charg-it system provided a way for customers to obtain credit for their local purchases by turning the bank into the credit provider. At the end of the month, instead of waiting for customers to come and settle their accounts, the merchants could take their charges to the bank. The bank would settle those charges with the merchant then collect the funds from its customers. The system spread to other banks and the banks themselves saw it as an opportunity to sell more loan products. By 1959, cardholders could choose to pay off all the purchases they had made over the previous month, or they could roll over their account and pay interest on the credit. But, the system had limits. Both the merchant and the customer needed to be customers of the same bank. If the customer’s bank didn’t have a relationship with the merchant, the business wouldn’t be able to present its month’s purchases. If the merchant’s bank didn’t have a relationship with the customer, it wouldn’t be able to receive the funds from the buyer. Customers needed to collect multiple cards from multiple banks in the hope of being able to present a card that a store could accept, and merchants had to work with multiple banks in order to receive payment for all of its customers’ purchases. It didn’t take too long for the banks to come up with a solution. They created card associations called an “Interchange.” The Interchange, which is now a card network such as Visa or Mastercard, acts as an intermediary between the merchant and the banks, helping to ensure that merchants receive their payments and customers are charged for their purchases regardless of which bank each of them used. With the Interchange in place, when a merchant swipes a customer’s credit card and enters the charge amount, the purchase information is sent first to the merchant’s bank, the “acquiring bank.” The acquiring bank in turn sends the information to the Interchange. The interchange uses the data to identify the cardholder’s bank (the “issuing bank”) and contacts that bank to make sure that it can place a charge on the customer’s card. If the charge is accepted, the bank passes the cost of the purchase, minus processing fees, to the merchant’s bank, and the customer makes their purchase. At the end of the month, the customer can settle their month’s purchases with their bank through the credit card company. The whole process takes seconds… unless you’re the next customer in line, in which case it feels like it’s taking hours. It’s a complex transaction and one that picks up a number of fees along the way. Those fees are paid by the merchant and are typically around three percent but the amount varies depending on the nature of the transaction. Banks originally charged interchange fees to avoid breaching usury and truth-in-lending laws, but they’re now used to covering the costs of processing the transactions, and to make up for the risks involved in extending credit to customers; while merchants receive their payments immediately, customers only pay at the end of their credit period. The system has allowed credit cards to take off. More than 350 million cards are in circulation in the U.S. and while Americans have gotten better at paying off their credit cards instead of letting them build a balance month after month, a typical household in the country now carries nearly $16,000 of credit card debt. Most of us now make the bulk of our purchases using credit cards, saving our cash for the smallest payments and even for vending machines. 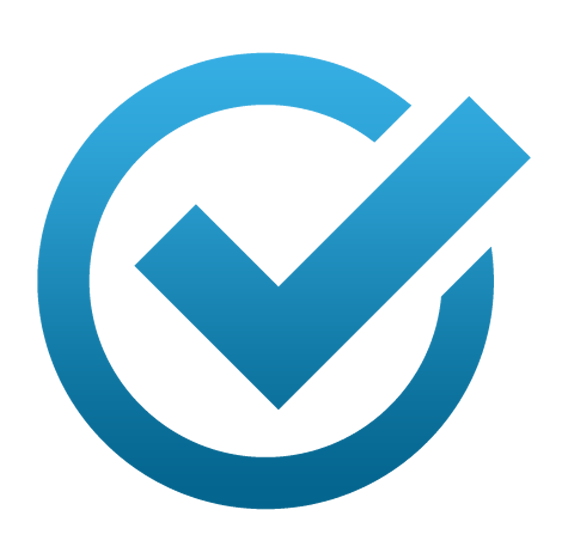 That makes using a credit card merchant service, the tool that allows merchants to take credit card orders, a vital choice for any business. Merchants should understand how the credit card Interchange works, why they’re paying fees to the credit card companies, and what they can do to minimize the amount that they have to pay. A business needs to know how to choose the payment platform that allows them to accept card data and communicate with the credit card companies, and they need to know about the changes taking place in the credit card industry. With millions of consumers coming online in China with the means and the desire to make international purchases, being able to collect payments from anywhere in the world is one factor in the choice of payment processor. As the magnetic stripe on the back of the card becomes less important than the chip embedded in it, being able to read those cards is also becoming increasingly important. Many people now pack smartphones, many of which have updated to use near-field technology to make credit card payments without even having to pull out their cards. There are more issues than ever for merchants to consider as they look for the best way to being accepting credit cards. That’s what this guide is about. We’ll start by looking at how to choose a payment platform. We’ll explore what to look for in a credit card merchant service and how to know if the platform you’re considering is the right one for you. We’ll then take a close look at those merchant fees. Losing around three percent of every sale doesn’t sound awful, until you see just how much you’re paying to the credit company every year, and how deeply those fees bite into your profit margins. Although the fees are set by the credit card companies, there are some actions that merchants can take to reduce those fees and save large amounts every year. Finally, once you start accepting credit card payments, you’ll find that you’re confronted with a number of issues that you maybe haven't considered. From rejected transactions to chargebacks, we’ll briefly address the events that you can expect to meet when you’re taking credit card payments and working with companies like Visa and Mastercard. Although there are now more ways than ever for people to send money from one account to another -- including cryptocurrency, online payment platforms and peer-to-peer payment apps -- any business that’s serious about growing and building its customer base has to choose a way to accept credit card payments. This guide will be your first step towards growing your business. Being able to accept credit cards brings a series of benefits to a business that go beyond the ability to take payments in the form most used by customers. It’s essential for online businesses and it’s also a good idea for freelancers to avail themselves of extra means to obtain payments. Having choices liberates them from online payment platforms and means that they’re not stuck waiting for checks in the post, wondering if they’re going to be paid for the work that they’ve done. Credit cards help everyone -- freelancers and small businesses -- to get paid faster. These cards also reduce transaction costs. While accepting credit cards always brings a fee, it also removes the costs involved in processing checks as well as the larger costs that result from the extra labor of using other payment methods. Once you’ve set up your credit card merchant service -- a process that takes just minutes -- you should find that accepting credit card payments is fast, easy, relatively inexpensive yet highly efficient. Best of all, it’s secure. Checks can bounce and while some credit card payments can be fraudulent and be charged back, the verification system is capable of weeding out most attempts at fraud. Once you receive verification of a credit card, you can be confident that you will be paid for your product or your service. However, not all credit card merchant services are the same. When you’re looking for a system that lets you accept credit cards and send the data to the credit card companies, it’s worth bearing in mind a number of considerations, starting with your reasons for wanting to accept credit cards. They might not be what you think. Bricks and mortar stores take plastic because they assume that their customers may prefer not to use cash, often even for small amounts. The business owner knows that if they can’t take credit cards, some of those customers won’t be able to pay. They’ll walk away. That’s even more true for online retailers and for freelancers. Although Internet shoppers can pay for their purchases using online payment platforms, not every customer has money on those platforms or wants to open an account. But, they will already have credit cards that they’re willing to use. The same is true for freelancers. Service providers might be used to demanding payments using payment platforms but it’s not unusual for some clients not to have accounts on those platforms. That leaves the freelancer with the choice of asking to receive a check, the least secure way to close a bill, or asking for a wire transfer -- often the most expensive. If neither side is willing to use either of those methods, the client and the job are lost. An ability to take credit cards creates the opportunity to accept work or purchases from almost any buyer. Freelancers might struggle to believe this, but clients do want to pay their bills as quickly as possible. What slows them down is finding the time to handle the process of making a payment. If they’re paying by check, they have to write out the check, address the envelope, head down to the mailbox, or even to the post office if they don’t have a stamp (and who keeps stamps these days?). If they’re using a payment platform, they might have to send money to their account, a process that can take a few days in itself. Paying by credit cards requires little more than typing a series of numbers into a field. (The remaining fields are likely to be filled automatically by the browser.) Some studies have shown that invoices are paid as much as eleven days faster when businesses accept credit cards. That’s a smaller headache for a client and a quicker cash flow for you. Credit cards have a reputation for being expensive because they take a percentage of the payment as a fee. Merchants feel those costs as a slice into their profit margins. But, payment platforms take a similar cut, wire transfers charge the same large amount regardless of the size of the payment, and while checks look cheap, once you’ve factored in the number of work-hours spent processing a check, you’ll often have found that taking the credit card was the cheaper option. Choose the right credit card merchant service, use it smartly, and while you’ll still have to pay to process payments, you’ll be paying less and you’ll be getting more security for those fees. The time that you have to spend sending out invoices and instructing your clients on the best way to make their payments, is time that you’re not spending generating revenue. A credit card payment system isn’t just a means to charge a card. It’s also a way to bill customers and clients that’s fast and efficient. Once you’ve started to accept credit cards, you’ll want all of your customers to pay with plastic. It will save you time and money. A number of different companies can help you to accept credit card numbers, feed them into the system and receive payments. But, it’s critical to choose carefully. You want to make sure that you can use the functions smoothly and reliably, and without running into any problems. You went into business to sell your products or services not to merely accept credit cards. You don’t want to lose time working to make money while you are thinking about your credit card system or arguing about payments with the service company. You just want to be able to swipe a card or take the numbers that the customer types, check that the card is valid, and get paid. So, while payment merchant services might look similar, you will find that there are small but vital differences that you need to consider. Stay in business long enough and you will eventually run into all sorts of payment issues. You’ll get chargebacks and late payments. Clients will tell you they paid but there will be no sign of the payment in your account. You might occasionally be surprised by a fee, or you might just have a question about how the process works. Whenever you want to contact your merchant system, they should be there for you. This isn’t always the case. Large companies in particular often prefer to trade on their name and have as little to do with their customers as possible. Instead of dealing with issues and answering questions, they settle for sending canned replies, but fail to answer follow-ups. Talking to a service that you might be paying hundreds of dollars a month is like trying to hold a conversation with your computer mouse. Really, you will want to watch-out for this. 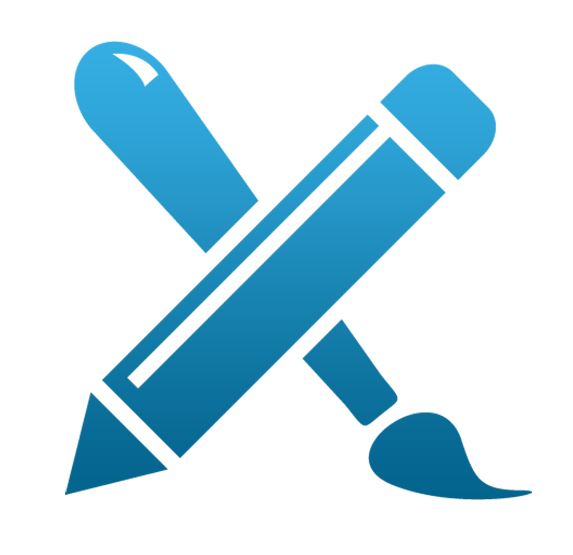 Before signing up with a merchant service, check the support center. Make sure there’s a ticket system, an email address you can write to and a phone number you can call if you need an answer immediately. On September 7, 2006, the major credit card brands launched the Payment Card Industry Security Standards Council. The council’s aim has been to oversee payment account security all the way through the transaction process. As a seller, you need to be confident that your cash flows are confidential and that the money won’t be diverted en route to your account. Customers, too, need to be confident that once they’ve trusted a seller with their credit card details, those details will be safeguarded and not abused. In order to be PCI compliant, the merchant has to take a questionnaire whose contents depend on the number of transactions they process each year. The smallest category, for merchants processing between 20,000 and 1 million Visa transactions per year, requires the merchant to identify themselves among eight different processing methods based on how they accept payments. They’re then told which questionnaire they should take next. It’s a complicated procedure which will take days to work through and imposes heavy penalties on merchants who fail to get it right. The credit card companies can fine acquiring banks between $5,000 and $100,000 per month for PCI compliance violations, and the banks will pass those costs along to the merchant themselves -- then cut them off or raise their transaction fees. As to what those violations might consist of, please, you need to look through the small print of the PCI Compliance Guide to find out whether you’re sticking to the rules. 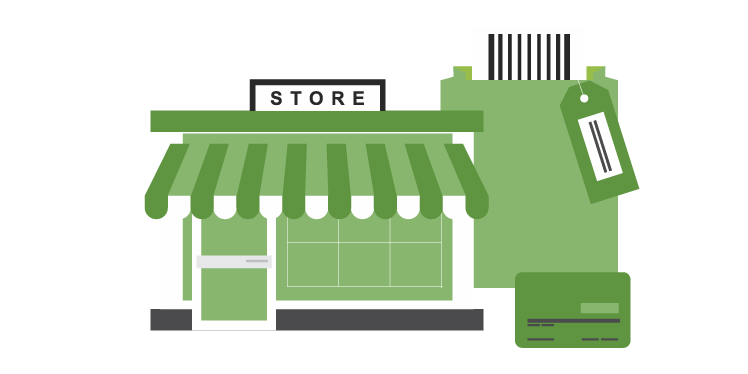 Working with a PCI-compliant merchant service makes everything a great deal easier. It’s the service’s job to understand the rules and make sure it’s compliant. All you have to do is make sure that it says it is PCI-compliant. Once you’ve decided that you want to open your business to credit cards, you want to be able to accept as many different kinds of cards as possible, and you want to be able to do it with a single payment system. There are few things worse than having to tell a customer that you don’t accept their card, and wait while they fumble around for a different one. This situation really shouldn’t be the case any more. It’s easy enough to find a merchant service that accepts all four major credit cards, as we do at Due, so ignore the others and make sure that you can take every card carried by your customers. You put a lot of money and information into the design of your website. You've made it as easy as possible for customers to find the product they want to buy. You test the copy to make sure it’s effective and you make sure that the Order button is impossible to miss and easy to click. Then the customer reaches the payment page, realizes that they have to fill in a page-load of forms and runs away screaming. Or, clicks away, frustrated. According to a 2015 Customer Checkout Survey from InternetRetailer.com, more than 46 percent of cart abandonments are happening at the payment stage. Customers are turning away at the checkout login, when they see the shipping costs, and even when they have to type in their billing and delivery addresses. The extra thought process and effort of filling in those fields is enough to put off customers -- and sometimes permanently. That doesn’t happen in retail stores. Customers are happy to stand in line, even for relatively long periods of time and with their arms full of merchandise, for the chance to push their card into a machine and type four numbers because the payment process is easy. The merchant service you choose should be easy too. eBay did a study where they found that customers were much more likely to buy merchandise if it was offered with free shipping. The customers would even pay more for an item in order to have free shipping. something to think about. Examine the way your checkout looks and make sure that your design is user friendly, simple to integrate, and isn’t going to put off your customers. Ideally, as soon as a customer punches in their credit card number or their PIN, you’d get your money. In practice, you’re just going to have to wait. While you might not have to wait as long as you need to when a client tells you that a check is in the post, the money doesn’t go straight from the card to your bank account. It arrives in batches that depend on when the payment was made, and the batches will be transferred after a set period. A platform might tell you that the cut-off time for a batch is at midnight and payments are made within two or three business days. Make sure that you know those cut-off times and the payment schedules. If you can’t find any information on the website, then shoot them an email and ask. Don’t settle for three business days. Those long waits should really be a part of the past. These days, there’s really no reason you should wait that along. If a payment merchant service tells you you’re going to have to wait that long, see if you can find a faster service. You probably can. If all your customers are local, then choosing a payment platform will be relatively straightforward even if your income sources are limited. But, once you start selling to customers around the world, your choices becomes much more complex. First, you’ll need to know where your customers are located now, and also where they’re likely to be located in the future. If you’re planning to expand to the Chinese market, for example, you need to be certain that your payment platform will be able to accept the cards issued by the single issuing bank in China. While you won’t find a merchant service that can cover all the countries in the world, you should look for one that can cover as many of the countries that you need as possible, and fill in the gaps with other services. You’ll also need to know the fees the platform imposes for those payments. There is a good chance that because some foreign payments present a higher risk to the banks, they’ll charge the credit card companies more to service those payments, and they’ll pass those costs on to you. Be certain of how much you’ll be expected to pay. The exchange rate can become an issue, too. While you can expect the platform to promise you a commission-free, automatic exchange into your own currency, expect that the exchange rate will be lower than the rate you could get on the money markets. Compliance will also be a factor when you’re taking payments from foreign countries. The PCI rules only apply to customers in the U.S. Other countries have different rules. You’ll need to be certain that the service you choose is compliant in the markets in which you’re active. None of this is hugely complicated. But, it is all information that you should know before you settle on your merchant service. Finally, and perhaps most importantly, you should know how much you’re going to pay. Being able to accept credit cards won’t be free. In the next chapter we’ll look closely at where exactly your money goes but that headline transactional fee you see quoted on merchant service sites is actually a mixture of as many as a dozen different fees that the credit card data picks up as it travels from bank to bank. That’s a long list of factors that you need to bear in mind as you’re assessing credit card merchant services. They might suggest that a decision is difficult to make. But, in practice, you should find that reputable businesses advertise their strong support, have clear user-friendly designs, and put the total costs upfront and center. They don’t hide any information that’s important to their clients and they make it as easy as possible for businesses to understand exactly what they’re getting. But there is one aspect of accepting credit cards that even the best platforms struggle to show: the fees. In the next chapter, we’re going to show how they work and how you can control them. When you’re assessing credit card merchant services, you’ll probably see a single headline fee. That fee, which is usually around 3 percent but can be as high as 5 percent, is a combination of different costs levied behind the scenes. There’s one fee though that dominates: the interchange fee. For both merchant and buyer, the process of paying with a credit card is very simple. In a brick-and-mortar store, the buyer might push their card into a machine and enter a pin. Within seconds, the transaction is authorized, the payment is made and the customer can walk away with their goods. Behind the scenes though, a great deal is happening. First, the transaction information, including the identity of the card association and the issuing bank, is sent to the acquiring bank, the merchant’s bank. The acquiring bank passes that information to the card association which authorizes the transaction. That information is then passed to the card issuer, the issuing banks, which adds the payment amount to the credit card’s monthly bill -- and takes a cut as the interchange fee. The amount varies with a credit card and with the type of credit card. Visa’s rates currently range from 0.800 percent plus 15 cents for a retail swiped Visa Debit CPS to 2.450 percent plus 10 cents for a Visa Debit Keyed Business card. The card issuer then clears the payment to the acquiring bank which also takes a smaller cut for itself. So, for a $100 purchase, for example, the card issuer might take two dollars as the interchange fee when it adds the purchase amount to the cardholder’s bill. And, the acquiring bank might take another fifty cents before passing the remaining $97.50 to the merchant. Ask a credit company what merchants and customers receive in return for the higher product prices and lower merchant profits that the interchange fee produces, and they’ll give a long list of benefit -- most of which relate to the use of credit cards themselves rather than to the fee or its size. Mastercard points out that the interchange fee allows its card owners to make purchases in more than 210 countries, withdraw cash from ATMs around the world, and receive rewards and loyalty points every time they make a purchase. Merchants, Mastercard says, are also able to hold less cash making them smaller targets for criminals, avoid credit losses, provide data processing, and even, the company argues, increase sales and lower the processing costs they would incur if they had to accept payments in checks. Mastercard also points out that it receives no money at all from the interchange fee. Those funds, the company says, are passed from the merchant’s bank to the cardholder’s bank. Despite the protestations of the credit card companies, the interchange fees imposed during a credit card transaction have come under some severe criticism. Again, please read the fine print, and the very very fine print. Regulators in a number of countries have argued that the uniform rates charged by credit card companies are the result of price-fixing rather than fair competition. Customers can see how much interest they have to pay if they fail to pay off their balance every month, but they’re unable to see the cost to the merchant of using their card, and while the largest merchants have enough clout to negotiate with credit card firms and lower their interchange fees, small stores are stuck with whatever rate the cards decide to impose. The Durbin Amendment 2010 Dodd-Frank law attempted to force down the interchange fees charged for the use of a debit card but the result might not have been as beneficial as its proponents intended. Critics have argued that following the passage of the amendment, fees on deposit accounts increased by between 3 percent and 5 percent, and while some retailers saw a reduction in their debit card swipe fees, those savings usually came for the purchase of big-ticket items sold in large stores rather than the regular purchases made in small outlets. There is little evidence that the savings have been passed on to consumers. Perhaps the biggest issue with the interchange fee though is it’s one fee among a number of fees that lack transparency. The 2-5 percent rate taken from the purchase price is actually split a number of different ways. The credit card companies are right to say that they don’t receive all of the fees taken from the payment of a purchase made with a credit card, but they’re wrong to claim that the banks take everything. Of a $2 credit fee, about $1.75 would typically go to the card issuing bank as the interchange fee. But it's not the only fee that cuts into the amount a merchant needs to pay to accept credit card payments. In fact, that 2-5 percent bite into your sales price will be shared out in a number of different ways and to a number of different intermediaries. The fees can be placed in three categories. Transactional fees are charged each time a customer makes a purchase using a credit or debit card. Flat fees are regular, unchanging payments such as those paid for the use of a credit card reader. Incidental fees can be miscellaneous and occasional, such as chargebacks and voice authorization fees. Some of those fees are “base fees” or “wholesale fees.” They’re set by the banks and the credit card companies, and unless you’re the CEO of Walmart, they’re not negotiable. Every merchant will pay the same wholesale fees. Other fees are “markups.” They’re the amounts charged by smaller companies that make the payment process smooth, and while they’re not always negotiable, good firms will try to make those rates as competitive as possible. Transactional fees are the easiest to understand and the highest to pay. These are the interchange fees that go to the bank and the assessments that are taken by the credit card firms. Although they’re not negotiable, they can vary, and they can include payments for ecommerce, data usage and dues. There are at least a dozen different kinds of flat fees. Although you’d have to be very unlucky to see all of them in your credit card bill, you can expect to see some of them. Terminal fees cover the cost of leasing a credit card terminal. If you do need to accept credit cards for your bricks-and-mortar store, it’s often worth skipping those fees and buying a reader outright. Payment gateway fees are similar to terminal fees but are paid by ecommerce businesses to accept payments online. PCI fees are the cost of being PCI-compliant. They’re usually folded into the merchant service fees though there are fines for non-compliance. Annual fees are a yearly fee paid to the merchant service provider that processes the payment. Not all merchant service providers charge an annual fee. Monthly fees are sometimes charged to cover the cost of using a call center -- or at least having a call center available. Minimum fees are levied on merchants who fail to make a minimum number of transactions each month or each year. Again, they’re not charged by every merchant service provider so you should check whether your provider requires a minimum number of transactions, and whether you can meet that minimum. IRS Reporting fees cover the merchant service provider’s cost of reporting transactions to the IRS. They’re usually only a few dollars. Independent Service Provider fees, also known as “merchant service provider” fees cover the cost of the intermediary who accepts the credit card data and passes it through the system. The service provider has to find the best solution for each merchant and is the first place to turn in the event of a query. The fees make up no more than 15 percent of the total cost of the credit card rate. Network fees are charged to the merchant service provider by the credit card networks; the merchant service providers pass them on to the merchants. Online reporting fees are intended to cover the cost of supplying account information online. Few merchant service providers charge to check your account online. You can find up to six kinds of incidental fee on your credit card bill, and although you may well be lucky enough to avoid all of them, their appearance is never a welcome surprise. Chargeback fees may well be the most common incidental fee that you see on your credit card bill, and they can be expensive. In addition to the cost of the lost transaction, you might also find that the credit card company fines you between $50 and $75. Merchants have a strong incentive to minimize the number of chargebacks they receive. Retrieval request fees are the first fees charged when a customer has disputed a payment. They’re another reason to keep customers happy and chargebacks rare. Address verification service fees, also known as “AVS fees,” can turn up on the bills of ecommerce businesses. The service checks the address given by the cardholder against the address registered for the card to make sure the purchase is legitimate. The fee can be as low as 10 cents but it will be charged for every transaction -- and can add up. 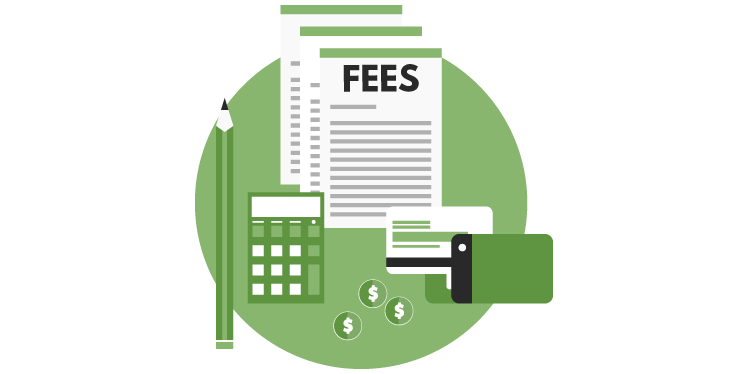 Non-sufficient funds fees, or “NSF fees,” are similar to overdraft fees. They’re the fines levied when you don’t have enough funds in your merchant account to cover your merchant service expenses. When people don’t have money, the credit card companies will ask for more. Voice authorization fees, or “VAF fees,” are charged when you need to make a phone call to verify information to authorize a transaction. It’s rare, even for ecommerce merchants. Batch fees are charged whenever you send a batch of transactions through the credit card network but they only cost a few cents each. When you sign up with a merchant service provider, you’ll be quoted a rate. Much of that rate will be set in stone. The merchant service provider will have no influence over the interchange and assessment fees that the credit companies and the banks charge, and that make up the bulk of that rate. But they will have control over some aspects of the fee—and you too will be able to influence some of the additional fees that you might be expected to pay. There are a few steps that you can take to keep those credit costs low. 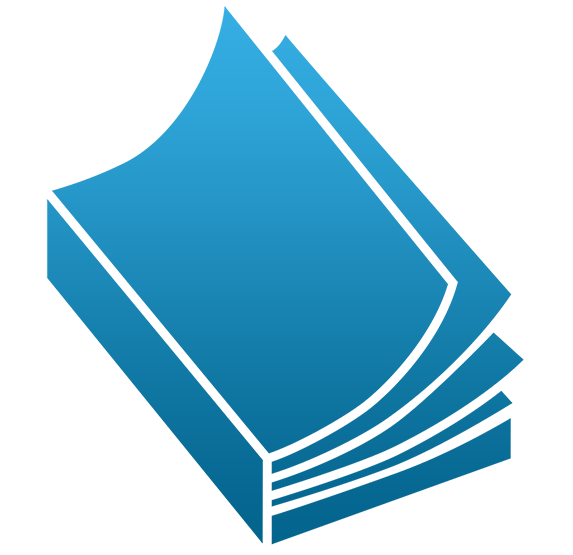 At Due, we work with Paypal and Stripe to offer a very competitive standard rate of 2.8 percent. There are no additional monthly fees or transaction costs. Everything’s included and the fee covers Mastercard, Visa, American Express and Discover. But we also say that if you can find a better rate, we’ll match it, and we tell enterprises whose revenues exceed $250,000 a month to contact us for custom rates. We don’t actually believe that you’ll be able to find a better rate than the one we offer, but there is a little room for negotiation especially if the large number of transactions make up for a smaller percentage. But bear in mind that while an overall rate might consist of a number of different fees combined together, the only rate that the merchant service provider can negotiate is their own fee. That doesn’t mean it’s not worth doing, but don’t expect the negotiation to make a large difference until you’re generating millions of dollars’ worth of transactions a month. Then you can talk to the credit companies and the banks. One of the factors that goes into determining the rate you’ll pay to take credit cards is the risk you pose to the banks and the credit card companies. If the credit card companies keep finding that they can’t recoup the payments they made to the merchant’s bank because the card or the number was stolen, they’ll start to increase their rates. The same is true if they have to deal with lots of chargebacks because customers weren’t satisfied with their purchases -- and that’s on top of the lost custom and the fees that you’ll have to pay for those chargebacks. One of the most important steps that you can take to stop your credit card fees from getting out of control is to keep those fraudulent charges and chargebacks in check. Swiping the cards instead of keying in the numbers can help though it’s not always an option for ecommerce merchants. Making sure that you collect security information such as the number on the back of the card and buyer’s address can help, too. If you find that some countries are giving you higher incidents of fraud, consider cutting them off or only accepting other payment methods, and if you receive an order from an unusual location with a high rate of fraud, be suspicious. Credit card companies want the merchants to be the first line of defense against fraud. If you don’t stand up and do your part, they’ll make you pay. Similarly, if you’re getting lots of chargebacks, don’t just consider it a cost of doing business. Look at the quality of the products you’re shipping. Make sure that your sales copy is clear and matches the product. Help customers to receive exactly the product they want, and only that product, even if it results in fewer sales. Chargeback fees can be such a heavy penalty that they’ll easily outweigh the cost of a few lost sales. Credit card fees, like other business expenses, are entirely tax deductible. They are a cost of doing business and the IRS will recognize all of them. Clearly, that doesn’t mean you’ll get everything back but it does mean that your actual rate will be lower than the headline rate you’ll see quoted by your merchant service provider. It also means you’ll need to keep copies of all those fee bills. You’ll need to keep them organized and available to be passed on to your accountant. You will need to pay the credit card companies and the banks their due, but there’s no need to give the government more than you have to. Freelancers who accept payments through payment platforms know that they’re going to be hit with a fee, so they decide with the client before accepting the project who will pay that expense. It’s always a difficult question. The freelancer knows that if they ask the client to pay, they could lose a job in a dispute over a few bucks. But they also know that if they never ask, those few bucks will start to add up. The same consideration has to go into adding the cost of the credit card to the product price. It means putting up the price by several percent, and that could be enough to no longer make the offer competitive. Your ability to incorporate that price will depend on the product and the market. Check what your competitors are doing; if they’re accepting credit cards, they’ll feel the same degree of pressure and be equally reluctant to raise their prices. Calculate whether you can afford to lose as much as 3 percent of every sale without adding the price to the product or whether you can absorb part of the cost. And look for ways to add value so that even if you do decide to put up your prices to take the credit card fees into account, customers will still feel that it’s worthwhile. You might be able to find a way to speed up the shipping for local customers, for example, or offer top-notch customer service. Accepting credit cards will always mean paying some fees. You’re receiving a service that lets you expand your business, and you’ll have to pay for it. That service is complex and it generates lots of different fees that are charged at different rates. The most important rate is the headline amount that the merchant service provider is offering but it is worth knowing what that rate includes -- and it’s worth taking whatever steps you can to minimize the amounts you’ll have to pay. Most credit card payments are smooth and easy. The customer will enter their details and the payment will be approved within seconds. The merchant will get their funds, minus the credit card rate, and the deal will be made. Occasionally though, things can go wrong. Breakdowns are rarely serious but they can happen. 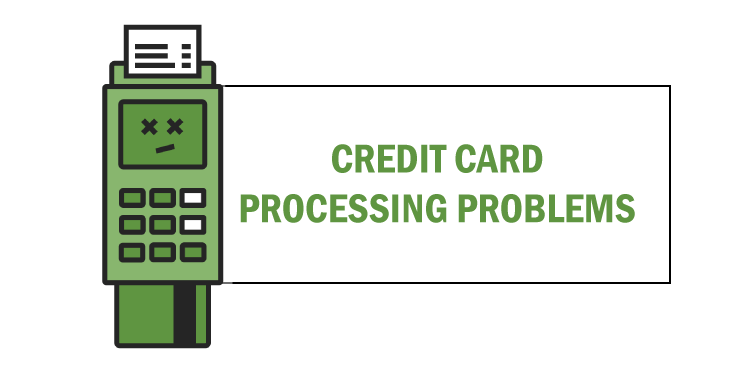 In this chapter, we’re going to look at some of the most common reasons that credit card problems occur, and what you can do about them. When credit card merchant problems appear, they take the form of “declined transactions.” That’s a catch-all phrase that describes a broad range of possible problems. The authorization code will give you a clue to the reason behind the refusal but it doesn’t always tell you everything you need to know. One code, for example, tell you that the cardholder has insufficient funds to complete the transaction; they’ve exceeded their credit limit. You can ask the customer to call their issuing bank and have their limit raised, or you can simply ask for another card. Another code might tell you that there’s a “violation” connected to the account but you won’t know what that violation is. The customer will have to call their issuing bank and settle the problem, or again pay with a different card. While you should be able to identify the meaning of a code that comes with a declined transaction, you won’t always have enough information to take any more action than to ask for a different payment method or tell the customer to call the bank. If their credit card won’t work, they’ll need to fix it or find another way to pay you. Sometimes a customer will enter their credit card details and the payment just won’t go through. They’ll have entered all the right information. The card is active and functional. But every time they try to make the payment, they get an error message. That’s usually because there’s a problem with the payment gateway, the point that receives the credit card data, encrypts it and sends it to the credit card network for approval. eCommerce merchants might not know anything about this problem until they start receiving emails from frustrated customers unable to make their purchases. The most common fix is for the customer to just try again a few minutes later; the problem is often system-wide and caused by a connection outage which is quickly fixed. But if it does keep recurring, this is a time to pick up the phone and use your service provider’s customer service. You might need to change some settings, or even change the service provider. The Dark Web has online stores where it’s possible to buy stolen credit card numbers in bulk. Most of those numbers will already have been shut down but some will work, and criminals try to find the working numbers by using a robot to place a series of orders. When they’re successful, they get to make a successful purchase -- and you get hit by the chargeback when the owner of the card realizes that it’s used been used without their authorization. Keep an eye out for suspicious orders. They might come after a series of failed purchase attempts; in purchases that miss some customer information, such as email address or phone number; that provide different billing and shipping addresses; and in purchases that ask you to ship a product to an unusual country, especially for a U.S. card. While there’s little that you can do to keep criminals off your website or away from your business, you should ask the customer for more information before making shipments that you won’t get back and orders which will have the credit card companies levying a fine. Sometimes the reason for a failed transaction won’t be with the credit card network, the payment gateway or the customer but with the bank — either the issuing bank or the acquiring bank. The first sign will be an error code you don’t understand. Again, this isn’t an issue you’re going to fix by yourself. Call your merchant service provider’s customer service number, and tell them exactly the code you’re seeing and the problem you’re encountering. It will be up to the service provider to work with the banks to fix the issue on your behalf. Banks use behavior profiling to try to spot fraudulent credit card purchases at the point of purchase. If a card is used in a location that the customer has never visited before or if it’s used to make an unusually large purchase, the bank’s algorithm might flag the purchase and block the card. It’s often embarrassing and always annoying but it’s easily remedied by the customer calling the bank to answer a few security questions. The credit card networks are pretty resilient. If a customer is having a problem making a purchase, the reason is usually on their side, and is often a result of an expired card or the customer exceeding their credit limit. They have to fix those problems themselves. Technical issues can be solved by your merchant service provider. The choice of a credit card merchant service provider should be a simple one for a business. It’s an essential part of building a company, as much a part of the entrepreneurial process as choosing the shelves to hold the display goods or picking a logo to represent the brand. It’s just something you have to do. But like store design and branding, the choices that a business makes when it chooses how to accept payments from customers is critical. We started this report by looking at the reasons for accepting credit cards. Even for small businesses, they’re overwhelming. Whatever the size of your business, you want to be able to accept payments from every customer, and you want to do it reliably, securely and at a fair price. That means being careful as you’re assessing the different companies that will connect you to the credit card companies. You need to make sure that they have good support, appropriate security, cover all the cards you want to accept, and are fast and user-friendly. You should also understand the fees. That’s not essential; you can make do with being aware only of the headline transactional fee. But when you’re using a service several times a day, you should know how it works. If you don’t, you won’t be able to spot the opportunities to reduce those rates or keep away the incidental fees that can make such a big difference. The days when a customer can walk into a store and expect the owner to write their purchases into a ledger are now long-gone. These days, customers are more likely to wave their phones over a digital reader or enter a credit card online issued from their bank in Shanghai. But merchants still need to be ready to give their customers credit, even if it comes from the credit card companies and their banks.